Love The Little Ones is in need of community involvement, so we can continue to give to the kids in need. Gotta Yoga Studio in Charlotte is joining forces with us. 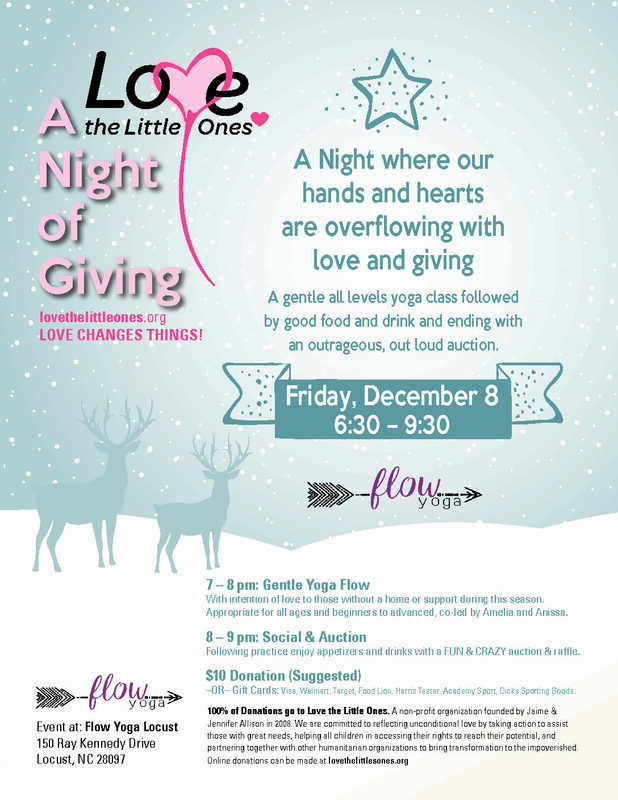 Gotta Yoga is hosting a holiday fundraiser for Love The Little Ones on November 30 at 6:00 PM – 9:00 PM. It’s going to be a fun night of candlelight slow flow yoga, an auction, then wine, chocolate & connecting with amazing people. You’re invited! All of the details are on the Gotta Yoga website. We are so grateful to Kim Zegil of Gotta Yoga & her staff. They’re putting so much energy & love into helping the children.